Margibi County – Christian Revival Church Association (CRCA) based in Liberia says it is making headways to help address the education need of Liberians. According to the Mission Director of CRCA, Rev. Dennis Aggrey, all efforts are currently being exerted to ensure that the institution opens a modern faith-based university that will promote access to education for Liberians. “The church is currently constructing its own university called, River of Life University. 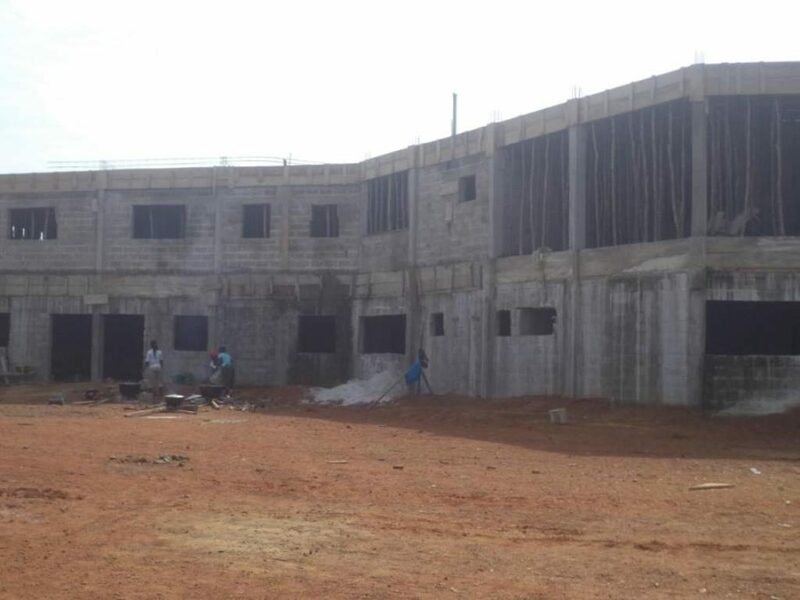 The construction of this university is part of the church’s developmental strategy in Liberia,” Rev. Aggrey said. Speaking at the proposed university site in Jungle Farm, District Number #1 Margibi County, Rev. Aggrey noted that the construction of the university facility is part of CRCA commitment to take the education sector from mess to best. He said the university, when completed, will have a conference center that will accommodate over 700 people. Rev. Aggrey furthered that the conference center will help fill in the gap of limited conference centers in the country and create an attraction for international events. “CRCA believes in changing lives through the Gospel of Jesus Christ and support to the wellbeing of its members and Liberia at large,” Rev. Aggrey asserted. He disclosed CRCA plan to get the university fully operating by 2020. Rev. Aggrey stated that funding for the construction of the university was made possible through contributions of by its members from seven counties in Liberia and donors. “As a matter of fact, about 57 members of the Christian Revival Church Association from Bomi County branch were provided volunteer services for the construction of the church university over the weekend,” Rev. Aggrey averred. Apart from constructing a university, the CRCA Mission Director maintained that the institution is involved with the construction of churches, schools, agricultural activities, training of pastors and teachers across the country. Meanwhile, Rev. Aggrey has expressed CRCA commitment to continue providing empowerment programs, capacity building and spiritual food for Liberians and those living in Guinea, Ivory Coast and Sierra Leone where its sub-branches are operating.